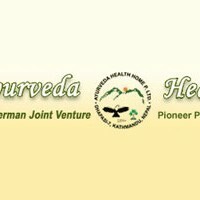 Ayurveda Health Home is the only professional healing center of ayurveda till date in Nepal and the pioneer Center of Ayurveda Pancakarma under Nepal-German management. The founders and managers are Dr. R.R.Koirala M.D. (Ay.) (Medical Director), Mr. Badri Koirala (Managing Director) from Nepal and Marlies Foerster from Germany as Director for Quality Management and professional trainings, a Didi as a bridge between Nepal and Germany. Main aim is to awaken the individual’s natural healing potential source and restore the inner harmony, balance and rhythm. So, Ayurveda Health home provide a wide range of classical Ayurveda therapy services and guidance. All these services and Ayurveda products are based on original Ayurvedic scriptures. Treatment centre with guest-house is in Dhapasi, Kathmandu and since October 2009 in Lakeside, Pokhara.